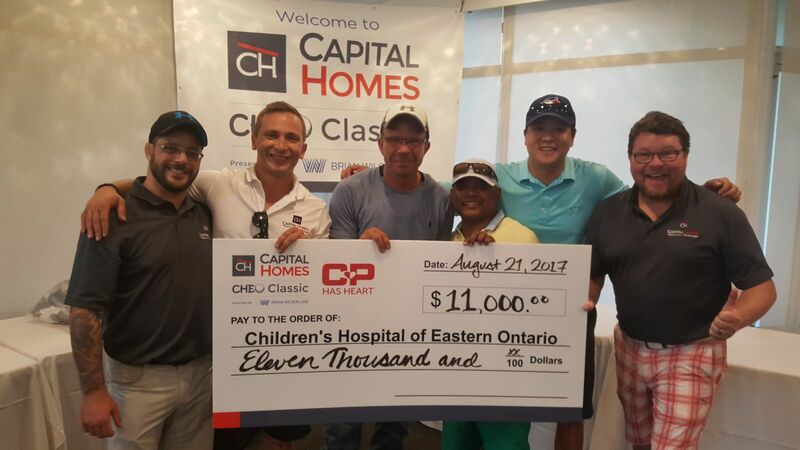 On August 20th, 2018 Capital Homes Realty will be hosting the third annual Capital Homes CHEO Classic golf tournament at the Kanata Golf and Country Club to raise money for the kids at CHEO, the Children’s Hospital of Eastern Ontario. The tournament will be followed by a dinner of hand carved roast beef with potatoes, veggies, tossed salad, and dessert. There will also be entertainment, prizes and more. CHEO, the Children’s Hospital of Eastern Ontario. CHEO is a pediatric health and research center. They are renowned for providing outstanding family-centered patient care. Over the past 40 years CHEO has become a world-class center, providing leading edge treatment and care for youth ages 0 to 18 years. It is one of the few stand-alone pediatric hospitals in Canada with 6,600 admissions, 7,700 surgeries and 171,000 clinic visits every year, as well as one of the busiest pediatric emergency rooms in the country, treating more than 69,000 youth a year. CHEO is also an academic science center. Each year it provides education to 2,300 future pediatricians, student nurses and other health professionals.